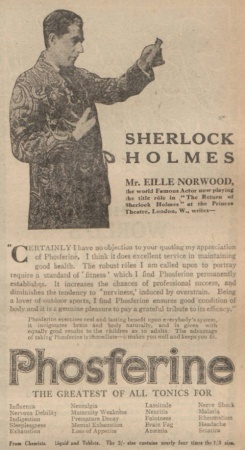 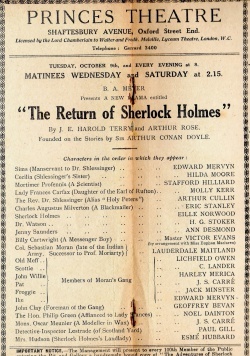 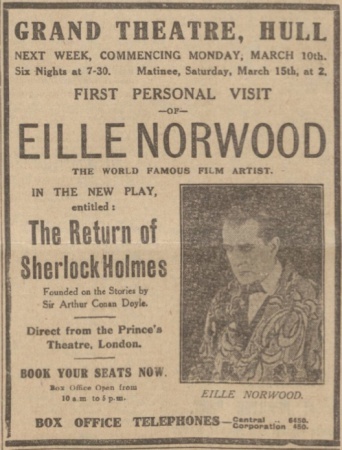 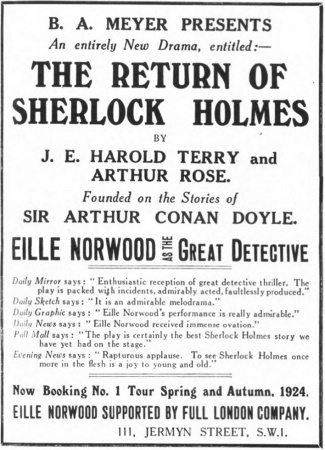 The Return of Sherlock Holmes is a British 2-acts play written by J. E. Harold Terry and Arthur Rose, previewed on 1 october 1923 at Playhouse Theatre (Cardiff, UK), then performed from 9 october 1923 to 2 february 1924 at Princes Theatre (London, UK), starring Eille Norwood as Sherlock Holmes. 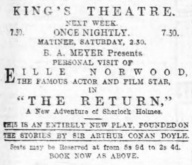 130 performances. 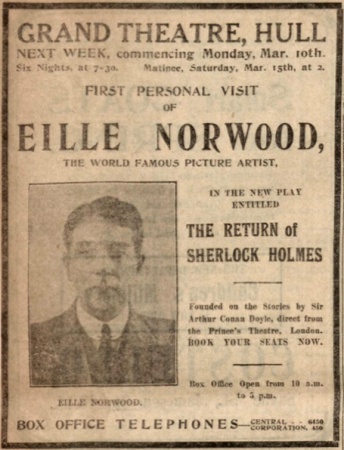 The plot is a mix from The Adventure of Charles Augustus Milverton, The Disappearance of Lady Frances Carfax, The Red-Headed League and The Adventure of the Empty House. 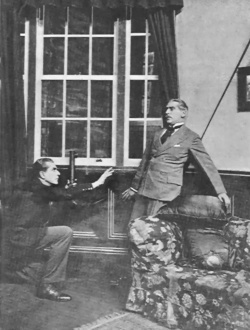 The play was then played in Netherlands and Denmark, where Norwood was replaced by Henri De Vries and Herman Florents. 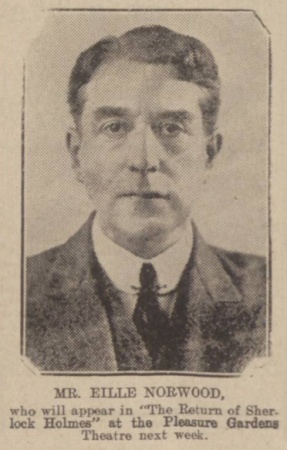 This page was last edited on 18 May 2018, at 22:58.